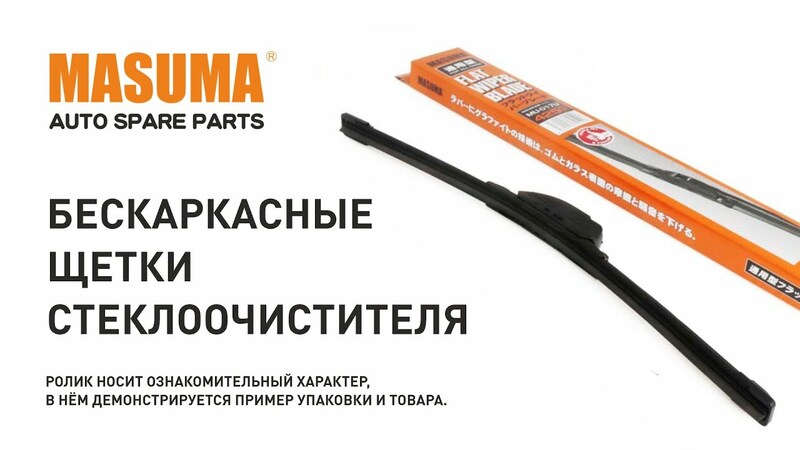 Щетка стеклоочистителя Masuma 19inch 475mm бескаркасная крепление J-hook, Pinch tab, Side pin, Claw, Push button 16мм, Bayonet, Slider, Side mounting, Pin, MU-019U. Купить оптом в Астраханской области | Masuma - запчасти для иномарок оптом от производителя. 2400cc. CR2 Rus. ELE 5AT. K24W. 2013.01-2013.12 K24W. 2400cc. CR2 Rus. ELE 5AT. K24W. 2400cc. CR2 Rus. ELE 5AT. K24W. 2014.01-2014.12 K24W. 2400cc. CR2 Rus. ELE 5AT. K24W. 2400cc. CR2 Rus. EXE 5AT. K24W. 2013.01-2013.12 K24W. 2400cc. CR2 Rus. EXE 5AT. K24W. 2400cc. CR2 Rus. EXE 5AT. K24W. 2014.01-2014.12 K24W. 2400cc. CR2 Rus. EXE 5AT. K24W. 1500cc. KG. 1.4S. D14Z5. 2004.01-2004.12 D14Z5. 1500cc. KG. 1.4S. D14Z5. 1700cc. KG. ES. D17A9. USA. 2001.01-2001.12 D17A9. 1700cc. KG. ES. D17A9. USA. 1700cc. KG. ES. D17A9. USA. 2002.01-2002.12 D17A9. 1700cc. KG. ES. D17A9. USA. 1700cc. KG. ES. D17A9. USA. 2003.01-2003.12 D17A9. 1700cc. KG. ES. D17A9. USA. 1700cc. KG. ES. D17A9. USA. 2004.01-2004.12 D17A9. 1700cc. KG. ES. D17A9. USA. 1700cc. KG. ES. D17A9. USA. 2005.01-2005.12 D17A9. 1700cc. KG. ES. D17A9. USA. 1700cc. KG. LS. D17A8. USA. 2001.01-2001.12 D17A8. 1700cc. KG. LS. D17A8. USA. 1700cc. KG. LS. D17A8. USA. 2002.01-2002.12 D17A8. 1700cc. KG. LS. D17A8. USA. 1700cc. KG. LS. D17A8. USA. 2003.01-2003.12 D17A8. 1700cc. KG. LS. D17A8. USA. 1700cc. KG. LS. D17A8. USA. 2004.01-2004.12 D17A8. 1700cc. KG. LS. D17A8. USA. 1700cc. KG. LS. D17A8. USA. 2005.01-2005.12 D17A8. 1700cc. KG. LS. D17A8. USA. 1700cc. KR. ES. D17A9. USA. 2001.01-2001.12 D17A9. 1700cc. KR. ES. D17A9. USA. 1700cc. KR. ES. D17A9. USA. 2002.01-2002.12 D17A9. 1700cc. KR. ES. D17A9. USA. 1700cc. KR. ES. D17A9. USA. 2003.01-2003.12 D17A9. 1700cc. KR. ES. D17A9. USA. 1700cc. KR. ES. D17A9. USA. 2004.01-2004.12 D17A9. 1700cc. KR. ES. D17A9. USA. 1700cc. KR. ES. D17A9. USA. 2005.01-2005.12 D17A9. 1700cc. KR. ES. D17A9. USA. 1700cc. KR. LS. D17A8. USA. 2001.01-2001.12 D17A8. 1700cc. KR. LS. D17A8. USA. 1700cc. KR. LS. D17A8. USA. 2002.01-2002.12 D17A8. 1700cc. KR. LS. D17A8. USA. 1700cc. KR. LS. D17A8. USA. 2003.01-2003.12 D17A8. 1700cc. KR. LS. D17A8. USA. 1700cc. KR. LS. D17A8. USA. 2004.01-2004.12 D17A8. 1700cc. KR. LS. D17A8. USA. 1700cc. KR. LS. D17A8. USA. 2005.01-2005.12 D17A8. 1700cc. KR. LS. D17A8. USA. 2400cc. TF3. Rus. USA KR 2.4 EXE. K24W. 2013.01-2015.03 K24W. 2400cc. TF3. Rus. USA KR 2.4 EXE. K24W. 1700cc. KG. 1.7 Comfort. D17A2. 2005.01-2005.12 D17A2. 1700cc. KG. 1.7 Comfort. D17A2. 1700cc. KG. 1.7 Comfort. D17A2. 2006.01-2006.12 D17A2. 1700cc. KG. 1.7 Comfort. D17A2. 1700cc. KG. 1.7. D17A2. 2005.01-2005.12 D17A2. 1700cc. KG. 1.7. D17A2. 1700cc. KG. 1.7. D17A2. 2006.01-2006.12 D17A2. 1700cc. KG. 1.7. D17A2. 1800cc. KG. 1.8 / 1.8 Trend. R18A1. 2007.01-2007.12 R18A1. 1800cc. KG. 1.8 / 1.8 Trend. R18A1. 1800cc. KG. 1.8 / 1.8 Trend. R18A1. 2008.01-2008.12 R18A1. 1800cc. KG. 1.8 / 1.8 Trend. R18A1. 1800cc. KG. 1.8 / 1.8 Trend. R18A1. 2009.01-2009.12 R18A1. 1800cc. KG. 1.8 / 1.8 Trend. R18A1. 1800cc. KG. 1.8 Comfort Life Sty. R18A1. 2007.01-2007.12 R18A1. 1800cc. KG. 1.8 Comfort Life Sty. R18A1. 1800cc. KG. 1.8 Comfort Life Sty. R18A1. 2008.01-2008.12 R18A1. 1800cc. KG. 1.8 Comfort Life Sty. R18A1. 1800cc. KG. 1.8 Comfort Life Sty. R18A1. 2009.01-2009.12 R18A1. 1800cc. KG. 1.8 Comfort Life Sty. R18A1. 1800cc. KG. 1.8 Comfort. R18A1. 2007.01-2007.12 R18A1. 1800cc. KG. 1.8 Comfort. R18A1. 1800cc. KG. 1.8 Comfort. R18A1. 2008.01-2008.12 R18A1. 1800cc. KG. 1.8 Comfort. R18A1. 1800cc. KG. 1.8 Comfort. R18A1. 2009.01-2009.12 R18A1. 1800cc. KG. 1.8 Comfort. R18A1. 1800cc. KG. 1.8 Executive. R18A1. 2007.01-2007.12 R18A1. 1800cc. KG. 1.8 Executive. R18A1. 1800cc. KG. 1.8 Executive. R18A1. 2008.01-2008.12 R18A1. 1800cc. KG. 1.8 Executive. R18A1. 1800cc. KG. 1.8 Executive. R18A1. 2009.01-2009.12 R18A1. 1800cc. KG. 1.8 Executive. R18A1. 2000cc. KG. 2.0 Comfort. K20A9. 2005.01-2005.12 K20A9. 2000cc. KG. 2.0 Comfort. K20A9. 2000cc. KG. 2.0 Comfort. K20A9. 2006.01-2006.12 K20A9. 2000cc. KG. 2.0 Comfort. K20A9. 2000cc. KG. 2.0 Executive. K20A9. 2006.01-2006.12 K20A9. 2000cc. KG. 2.0 Executive. K20A9. 2200cc. KG. 2.2 / 2.2 Trend. N22A1. Turbo. Диз. 2007.01-2007.12 N22A1. 2200cc. KG. 2.2 / 2.2 Trend. N22A1. Turbo. Диз. 2200cc. KG. 2.2 / 2.2 Trend. N22A1. Turbo. Диз. 2008.01-2008.12 N22A1. 2200cc. KG. 2.2 / 2.2 Trend. N22A1. Turbo. Диз. 2200cc. KG. 2.2 / 2.2 Trend. N22A1. Turbo. Диз. 2009.01-2009.12 N22A1. 2200cc. KG. 2.2 / 2.2 Trend. N22A1. Turbo. Диз. 2200cc. KG. 2.2 Comfort Life Sty. N22A1. Turbo. Диз. 2007.01-2007.12 N22A1. 2200cc. KG. 2.2 Comfort Life Sty. N22A1. Turbo. Диз. 2200cc. KG. 2.2 Comfort Life Sty. N22A1. Turbo. Диз. 2008.01-2008.12 N22A1. 2200cc. KG. 2.2 Comfort Life Sty. N22A1. Turbo. Диз. 2200cc. KG. 2.2 Comfort Life Sty. N22A1. Turbo. Диз. 2009.01-2009.12 N22A1. 2200cc. KG. 2.2 Comfort Life Sty. N22A1. Turbo. Диз. 2200cc. KG. 2.2 Comfort. N22A1. Turbo. Диз. 2006.01-2006.12 N22A1. 2200cc. KG. 2.2 Comfort. N22A1. Turbo. Диз. 2200cc. KG. 2.2 Comfort. N22A1. Turbo. Диз. 2007.01-2007.12 N22A1. 2200cc. KG. 2.2 Comfort. N22A1. Turbo. Диз. 2200cc. KG. 2.2 Comfort. N22A1. Turbo. Диз. 2008.01-2008.12 N22A1. 2200cc. KG. 2.2 Comfort. N22A1. Turbo. Диз. 2200cc. KG. 2.2 Comfort. N22A1. Turbo. Диз. 2009.01-2009.12 N22A1. 2200cc. KG. 2.2 Comfort. N22A1. Turbo. Диз. 2200cc. KG. 2.2 Executive. N22A1. Turbo. Диз. 2006.01-2006.12 N22A1. 2200cc. KG. 2.2 Executive. N22A1. Turbo. Диз. 2200cc. KG. 2.2 Executive. N22A1. Turbo. Диз. 2007.01-2007.12 N22A1. 2200cc. KG. 2.2 Executive. N22A1. Turbo. Диз. 2200cc. KG. 2.2 Executive. N22A1. Turbo. Диз. 2008.01-2008.12 N22A1. 2200cc. KG. 2.2 Executive. N22A1. Turbo. Диз. 2200cc. KG. 2.2 Executive. N22A1. Turbo. Диз. 2009.01-2009.12 N22A1. 2200cc. KG. 2.2 Executive. N22A1. Turbo. Диз. 3500cc. KG. C35A5. 2000.01-2000.12 C35A5. 3500cc. KG. C35A5. 3500cc. KG. C35A5. 2001.01-2001.12 C35A5. 3500cc. KG. C35A5. 3500cc. KG. C35A5. 2002.01-2002.12 C35A5. 3500cc. KG. C35A5. 3500cc. KG. C35A5. 2003.01-2003.12 C35A5. 3500cc. KG. C35A5. 3500cc. KG. C35A5. 2004.01-2004.12 C35A5. 3500cc. KG. C35A5. 1600cc. 5D. Colombia. 2012.02-... . 1600cc. 5D. Colombia. 1600cc. 5D. Taiwan. 2012.01-... . 1600cc. 5D. Taiwan. 1600cc. Colombia. 2012.02-... . 1600cc. Colombia. 1600cc. Israel. 2011.09-... . 1600cc. Israel. 1600cc. Taiwan. 2012.01-... . 1600cc. Taiwan. 1600cc. Vietnam. 2012.01-... . 1600cc. Vietnam. 1600cc. ZM-DE. 5D. Taiwan. 2009.06-... ZM-DE. 1600cc. ZM-DE. 5D. Taiwan. 1600cc. ZM-DE. Taiwan. 2009.07-... ZM-DE. 1600cc. ZM-DE. Taiwan. 2000cc. 5D. Colombia. 2012.02-... . 2000cc. 5D. Colombia. 2000cc. 5D. Taiwan. 2012.01-... . 2000cc. 5D. Taiwan. 2000cc. Colombia. 2012.02-... . 2000cc. Colombia. 2000cc. Israel. 2011.09-... . 2000cc. Israel. 2000cc. LF-VE. 5D. Taiwan. 2009.06-... LF-VE. 2000cc. LF-VE. 5D. Taiwan. 2000cc. LF-VE. Taiwan. 2009.07-... LF-VE. 2000cc. LF-VE. Taiwan. 2000cc. Taiwan. 2012.01-... . 2000cc. Taiwan. 2500cc. 5D. Taiwan. 2012.01-... . 2500cc. 5D. Taiwan. 2500cc. L5-VE. 5D. Taiwan. 2009.06-... L5-VE. 2500cc. L5-VE. 5D. Taiwan. BK1#. 1300cc. ZJ-VE. 5D. Euro. 2006.03-2008.03 ZJ-VE. BK1#. 1300cc. ZJ-VE. 5D. Euro. BK1#. 1300cc. ZJ-VE. 5D. Euro. 2008.03-2008.11 ZJ-VE. BK1#. 1300cc. ZJ-VE. 5D. Euro. BK1#. 1600cc. SEDAN. ZM-DE. Euro. 2003.07-2005.01 ZM-DE. BK1#. 1600cc. SEDAN. ZM-DE. Euro. BK1#. 1600cc. SEDAN. ZM-DE. Euro. 2005.01-2006.03 ZM-DE. BK1#. 1600cc. SEDAN. ZM-DE. Euro. BK1#. 1600cc. SEDAN. ZM-DE. Euro. 2006.03-2008.03 ZM-DE. BK1#. 1600cc. SEDAN. ZM-DE. Euro. BK1#. 1600cc. SEDAN. ZM-DE. Euro. 2008.03-2008.11 ZM-DE. BK1#. 1600cc. SEDAN. ZM-DE. Euro. BK1#. 1600cc. Y6. Turbo. Диз. 5D. Euro. 2006.03-2008.03 Y6. BK1#. 1600cc. Y6. Turbo. Диз. 5D. Euro. BK1#. 1600cc. Y6. Turbo. Диз. 5D. Euro. 2008.03-2008.11 Y6. BK1#. 1600cc. Y6. Turbo. Диз. 5D. Euro. BK1#. 1600cc. ZM-DE. 5D. Euro. 2003.06-2005.01 ZM-DE. BK1#. 1600cc. ZM-DE. 5D. Euro. BK1#. 1600cc. ZM-DE. 5D. Euro. 2005.01-2006.03 ZM-DE. BK1#. 1600cc. ZM-DE. 5D. Euro. BK1#. 1600cc. ZM-DE. 5D. Euro. 2006.03-2008.03 ZM-DE. BK1#. 1600cc. ZM-DE. 5D. Euro. BK1#. 1600cc. ZM-DE. 5D. Euro. 2008.03-2008.11 ZM-DE. BK1#. 1600cc. ZM-DE. 5D. Euro. BK1#. 2000cc. LF-DE. 5D. Euro. 2003.06-2005.01 LF-DE. BK1#. 2000cc. LF-DE. 5D. Euro. BK1#. 2000cc. LF-DE. 5D. Euro. 2005.01-2006.03 LF-DE. BK1#. 2000cc. LF-DE. 5D. Euro. BK1#. 2000cc. LF-VE. 5D. Euro. 2006.03-2008.03 LF-VE. BK1#. 2000cc. LF-VE. 5D. Euro. BK1#. 2000cc. LF-VE. 5D. Euro. 2008.03-2008.11 LF-VE. BK1#. 2000cc. LF-VE. 5D. Euro. BK1#. 2000cc. LF-VE. 5D. Rus. 2008.02-2008.03 LF-VE. BK1#. 2000cc. LF-VE. 5D. Rus. BK1#. 2000cc. LF-VE. 5D. Rus. 2008.03-2008.11 LF-VE. BK1#. 2000cc. LF-VE. 5D. Rus. BK1#. 2000cc. RF-T. Turbo. Диз. 5D. Euro. 2006.12-2008.03 RF-T. BK1#. 2000cc. RF-T. Turbo. Диз. 5D. Euro. BK1#. 2000cc. RF-T. Turbo. Диз. 5D. Euro. 2008.03-2008.11 RF-T. BK1#. 2000cc. RF-T. Turbo. Диз. 5D. Euro. BK1#. 2000cc. SEDAN. LF-DE. Euro. 2003.06-2005.01 LF-DE. BK1#. 2000cc. SEDAN. LF-DE. Euro. BK1#. 2000cc. SEDAN. LF-DE. Euro. 2005.01-2006.03 LF-DE. BK1#. 2000cc. SEDAN. LF-DE. Euro. BK1#. 2000cc. SEDAN. LF-VE. Euro. 2006.03-2008.03 LF-VE. BK1#. 2000cc. SEDAN. LF-VE. Euro. BK1#. 2000cc. SEDAN. LF-VE. Euro. 2008.03-2008.11 LF-VE. BK1#. 2000cc. SEDAN. LF-VE. Euro. BK1#. 2000cc. SEDAN. LF-VE. Rus. 2008.02-2008.03 LF-VE. BK1#. 2000cc. SEDAN. LF-VE. Rus. BK1#. 2000cc. SEDAN. LF-VE. Rus. 2008.03-2008.11 LF-VE. BK1#. 2000cc. SEDAN. LF-VE. Rus. BK1#. 2300cc. L3-VDT. Turbo. 5D. Euro. 2006.07-2008.03 L3-VDT. BK1#. 2300cc. L3-VDT. Turbo. 5D. Euro. BK1#. 2300cc. L3-VDT. Turbo. 5D. Euro. 2008.03-2008.11 L3-VDT. BK1#. 2300cc. L3-VDT. Turbo. 5D. Euro. BL#. 1600cc. 5D. GCC. 2011.09-2013.09 . BL#. 1600cc. 5D. GCC. BL#. 1600cc. 5D. General. 2011.09-2013.09 . BL#. 1600cc. 5D. General. BL#. 1600cc. GCC. 2011.09-2013.09 . BL#. 1600cc. GCC. BL#. 1600cc. General. 2011.09-2013.09 . BL#. 1600cc. General. BL#. 1600cc. SEDAN. Rus. 2011.07-2013.09 . BL#. 1600cc. SEDAN. Rus. BL#. 1600cc. ZM-DE. 5D. GCC. 2009.03-2013.09 ZM-DE. BL#. 1600cc. ZM-DE. 5D. GCC. BL#. 1600cc. ZM-DE. 5D. General. 2009.02-2013.09 ZM-DE. BL#. 1600cc. ZM-DE. 5D. General. BL#. 1600cc. ZM-DE. GCC. 2009.03-2013.09 ZM-DE. BL#. 1600cc. ZM-DE. GCC. BL#. 1600cc. ZM-DE. General. 2009.02-2013.09 ZM-DE. BL#. 1600cc. ZM-DE. General. BL#. 2000cc. 5D. General. 2011.09-2013.09 . BL#. 2000cc. 5D. General. BL#. 2000cc. General. 2011.09-2013.09 . BL#. 2000cc. General. BL#. 2000cc. LF-VE. 5D. General. 2009.02-2013.09 LF-VE. BL#. 2000cc. LF-VE. 5D. General. BL#. 2000cc. LF-VE. General. 2009.02-2013.09 LF-VE. BL#. 2000cc. LF-VE. General. BL#. 2000cc. SEDAN. Rus. 2011.07-2013.09 . BL#. 2000cc. SEDAN. Rus. BL1#. 1600cc. 5D. Euro. 2011.07-2013.09 . BL1#. 1600cc. 5D. Euro. BL1#. 1600cc. 5D. Israel. 2011.09-2013.09 . BL1#. 1600cc. 5D. Israel. BL1#. 1600cc. 5D. Rus. 2011.07-2013.09 . BL1#. 1600cc. 5D. Rus. BL1#. 1600cc. SEDAN. Euro. 2011.07-2013.09 . BL1#. 1600cc. SEDAN. Euro. BL1#. 1600cc. SEDAN. ZM-DE. Euro. 2008.12-2013.09 ZM-DE. BL1#. 1600cc. SEDAN. ZM-DE. Euro. BL1#. 1600cc. SEDAN. ZM-DE. Rus. 2009.03-2013.09 ZM-DE. BL1#. 1600cc. SEDAN. ZM-DE. Rus. BL1#. 1600cc. Turbo. Диз. 5D. Euro. 2011.07-2013.09 . BL1#. 1600cc. Turbo. Диз. 5D. Euro. BL1#. 1600cc. Turbo. Диз. Euro. 2011.07-2013.09 . BL1#. 1600cc. Turbo. Диз. Euro. BL1#. 1600cc. Y6. Turbo. Диз. 5D. Euro. 2008.12-2013.09 Y6. BL1#. 1600cc. Y6. Turbo. Диз. 5D. Euro. BL1#. 1600cc. Y6. Turbo. Диз. Euro. 2008.12-2013.09 Y6. BL1#. 1600cc. Y6. Turbo. Диз. Euro. BL1#. 1600cc. ZM-DE. 5D. Colombia. 2012.02-2013.09 ZM-DE. BL1#. 1600cc. ZM-DE. 5D. Colombia. BL1#. 1600cc. ZM-DE. 5D. Euro. 2008.12-2013.09 ZM-DE. BL1#. 1600cc. ZM-DE. 5D. Euro. BL1#. 1600cc. ZM-DE. Colombia. 2012.02-2013.09 ZM-DE. BL1#. 1600cc. ZM-DE. Colombia. BL1#. 1600cc. ZM-DE. Israel. 2011.09-2013.09 ZM-DE. BL1#. 1600cc. ZM-DE. Israel. BL1#. 1600cc. ZM-DE. Vietnam. 2012.01-2013.09 ZM-DE. BL1#. 1600cc. ZM-DE. Vietnam. BL1#. 2000cc. 5D. Euro. 2011.07-2013.09 . BL1#. 2000cc. 5D. Euro. BL1#. 2000cc. 5D. Israel. 2011.09-2013.09 . BL1#. 2000cc. 5D. Israel. BL1#. 2000cc. 5D. Rus. 2011.07-2013.09 . BL1#. 2000cc. 5D. Rus. BL1#. 2000cc. LF-VE. 5D. Colombia. 2012.02-2013.09 LF-VE. BL1#. 2000cc. LF-VE. 5D. Colombia. BL1#. 2000cc. LF-VE. Colombia. 2012.02-2013.09 LF-VE. BL1#. 2000cc. LF-VE. Colombia. BL1#. 2000cc. LF-VE. Israel. 2011.09-2013.09 LF-VE. BL1#. 2000cc. LF-VE. Israel. BL1#. 2000cc. SEDAN. Euro. 2011.07-2013.09 LF-VDS. BL1#. 2000cc. SEDAN. Euro. BL1#. 2000cc. SEDAN. LF-VE. Rus. 2009.04-2013.09 LF-VE. BL1#. 2000cc. SEDAN. LF-VE. Rus. BL1#. 2200cc. R2. Turbo. Диз. 5D. Euro. 2009.01-2013.09 R2. BL1#. 2200cc. R2. Turbo. Диз. 5D. Euro. BL1#. 2200cc. R2. Turbo. Диз. Euro. 2009.01-2013.09 R2. BL1#. 2200cc. R2. Turbo. Диз. Euro. BL1#. 2200cc. Turbo. Диз. 5D. Euro. 2011.07-2013.09 . BL1#. 2200cc. Turbo. Диз. 5D. Euro. BL1#. 2300cc. L3-VDT. Turbo. 5D. Euro. 2009.05-2013.09 L3-VDT. BL1#. 2300cc. L3-VDT. Turbo. 5D. Euro. BL1#. 2300cc. Turbo. 5D. Euro. 2011.07-2013.09 L3-VDT. BL1#. 2300cc. Turbo. 5D. Euro. #U0#. 2000cc. YF. Euro. 2001.02-2003.12 YF. #U0#. 2000cc. YF. Euro.